Fallen trees and broken limbs are the largest cause of power outages. Heavy wet snow, ice or high winds can push the trees into the electric lines. Downed lines and broken power poles take time to repair. We ask for your patience under such adverse circumstances as our crews must stay safe when conditions are at their worst. Be assured we know how critical electricity is to our members and we will work as quickly and safely as possible to restore service. 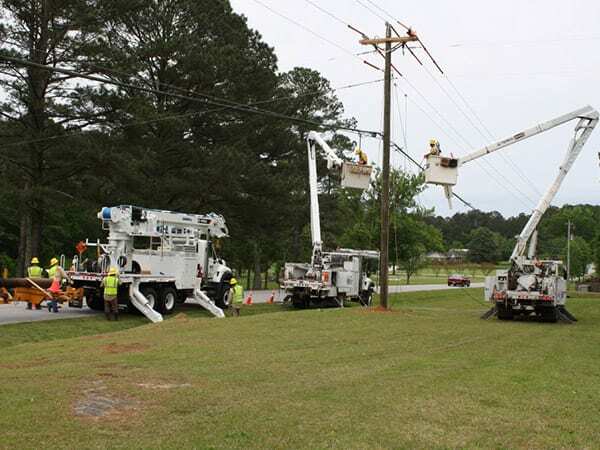 When entire towns or areas are without power, Coweta-Fayette EMC’s Emergency Service Restoration Plan dictates the order and priority of power restoration. The first priority is to restore power to emergency and public service facilities, and to respond to any unsafe situations. 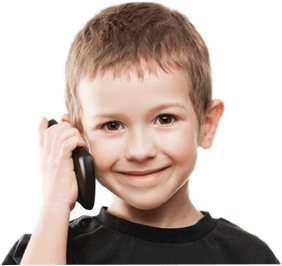 The second priority is to restore the largest number of customers in the shortest period of time. Coweta-Fayette EMC has 25 local distribution substations in its 860 square mile service area. When a major outage occurs, these are checked first to be sure the transmission system supplying power is not the problem. If the problem is a substation, work begins there because repair there may restore power to the largest number of people. Main distribution lines (we have over 5000 miles of them) carry electricity away from the substations. These lines are checked after the substations. When problems are fixed at this level, all members served by this distribution line could see the lights come on, as long as there is not another problem farther down the line. The final supply line to a member’s home or business is called a tap line. This carries power to the utility poles or underground transformers outside houses or other buildings. Line crews fix the remaining outages based on restoring power to the greatest number of members. Sometimes, when your neighbors have power and you don’t, the problem is between your home or business and the service line from the transformer on the nearby utility pole. Coweta-Fayette EMC needs to know you have an outage here so a service crew can be dispatched.